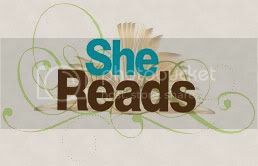 Please welcome Ariel Allison Lawhon from our sister blog SheReads. She's talking Word of Mouth as a marketing phenomenon. It's a wonderful post, and it kicks off a week of talking about the other side of marketing - not the author breaking her back to promote (and that happens), rather organic marketing that springs up spontaneously. Welcome to Marketing Week! drummed into us at marketing workshops and writer’s conferences. Some statistics go so far as to say that 80% of novels are sold on word of mouth alone. Yet no one seems to really know what that means or how to utilize it. Does a well-orchestrated blog tour equal word of mouth? Can it be organized, duplicated, or harnessed? Word of mouth, I believe, originates with one foot in the author’s world and one in the reader’s. They are equal participants in the phenomenon (which should come as good news to all us writers slaving away in the spare bedroom with stale coffee and a second-hand PC). For instance, the most talked about novel in the last two years is undoubtedly Kathryn Stockett’s, The Help. While most people know of her instant success, few are aware that before landing an agent, much less a publisher, she worked with an independent editor for over a decade. Kathryn Stockett did her part, enduring the “grueling” process that spanned five years and “I-don’t-know-how-many-drafts” until The Help was perfected. That degree of dedication to the craft and to the characters bleeds onto the pages of her novel. And it got people talking. The argument can certainly be made that advertising, promotion, and marketing thrust a book into the public eye, creating a bigger mouth, of sorts. However, the only thing that can explain the long-term success of certain novels are the love-struck readers who buy copies for friends and talk about it every chance they get. And while we as authors can not control marketing budgets, reviews, or publicity, we can control the quality of our work. Honestly, it makes me a little uncomfortable to think about how long Kathryn Stockett spent writing her debut novel. I have to wonder if I’m willing to, as Anne Lamott says, “Commit to my characters and capturing each one’s voice and truth, instead of committing to a finished novel.” Will I invest five years in a story that may never see publication? That sort of dedication is difficult to muster in today’s publishing climate. Yet when I ponder the books on my shelf – the ones that truly moved me – and I learn the stories of angst-filled writers crafting them over long periods of time, I realize that I love those books because the authors did as well. Loved them enough to slave over them. And that leaves me with two questions. As a reader what novels got your mouth moving? Why? create a novel that will inspire similar devotion in your future readers? Love The Help. Chocolate pie cheer. I met my closest friend here after we struck up a conversation about Peace Like a River. She got it. Her book club did not. I got it. We became like two first graders swapping lunch talking about that book. My mom and I talk books all the time. She'd never read The Deep End of the Ocean and bought it b/c of me. I have several books on my shelf she's let me borrow. As a writer I truly would like to believe I will do what it takes for the integrity of my work to shine. Wally Lamb wrote that it took him nine years to tackle The Hour I First Believed. I have not read this book but now you've got me interested. Yes, with my current WIP I've decided to go the distance and I've gotten beta readers and am hiring an editor to get this book where I think it needs to be. On the side, we once owned a successful construction company--only adverstising was word of mouth. People telling people makes a huge difference. Book readers are notorious gossips. We don't gossip about real people, but we do gossip about the books we read and the people we meet there. We love to share a good story. It doesn't matter if it is a best seller or not, if we liked it we will share it with anyone who will listen and a few who won't. Unsually long suffering spouses who don't read. The book this work the best for recently is the Shack. Love or hate this book it doesn't matter. It was a self published that sold millions with no advertising at all. It was only recently picked up by a publisher. This book sold completely by word of mouth. Amazing. I don't know how this works, but it is my job to do this. I buy and sell fiction and hand selling a book is still the best way. We still love to hear what others thinks. That is why book reveiws on the internet are so popular. I very seldom pay attention to the negitive ones as they seems so mean and vindictive, some with a axe to grind. But the middle of the road or the postive ones usually help me understand whether I want to read a book. Ok this is long winded and I will stop. You're so right, Ariel. The books that capture our hearts are mulled over, see many, many drafts, and have a team of skilled eyes and red pencils scanning the pages, all with the intent of writing the BEST book possible. I'm reading Cold Sassy Tree. The author took 35 years to write that book. And it shows. These days, this kind of time for a book is a luxury reserved for the yet unpublished or mainstream market mega-success author. In the CBA, most publishers prefer less than a year between book releases. As you can imagine, this doesn't allow for multiple drafts unless you type and think like lightning. I don't. That's why I only sign contracts for a year between books, which seems like the maximum the publishers are comfortable with, although I've heard recently of Patty Hickman stretching her time to 2 years. This is a good sign. I heard about The Help from 3 people before I listened to the audio version (fabulous!). I'm so glad I did. Hey, Chris! Am I correct about the time between books in the CBA? Chris, that's very good to here. Yay! Now, to write a book worth waiting for. Better get to it. That's to HEAR. OOPS, better slow down for editing. There I go proving my point. Wendy: someone should create a Facebook fan page for that chocolate pie. Makes me smile every time I think of it. I'll add Peace Like A River and The Hour I First Believed to my reading pile. I know, shame on me for not having read them yet. Terri: my husband is a General Contractor and he gets all his work from word of mouth. So far, he's not spent a penny on advertising. It's amazing what happens when you do the job well and treat customers with respect (many parallels to the writing life there). Chris: you're right, readers are the most wonderful sort of gossip. I may be the only person on planet earth who has not read The Shack, but I know many who did. Again, that is a book that moved people. Patti: Cold Sassy Tree took 35 years to write? That is - eh hem - three years longer than I've been alive! Add another one to the reading pile. I wrestle a great deal with the expectation that authors write at least one book per year. As Chris said, this is understandable for series, but I think it is a heavy burden on those who write standalone titles and can't rely on reader familiarity with characters and plots. If I had to guess, I think this is the major cause of burnout among writers. Good stories need time for the telling. As I think about it, most of my favorite authors release one book every three to five years. Sara Gruen will release Ape House in Sepetember, four years after Water For Elephants. Anne Lamott generally spends three years on each of her novels. Sue Monk Kidd took five years between The Secret Life of Bees and The Mermaid Chair. Kathryn Stockett is contracted to write another novel but there is no word on release date. My guess would be 2012 or later. There was ten years between Silence of the Lambs and Hannibal by Thomas Harris. This is something Donald Maass talks about at length in his book The Fire in Fiction - the assumption that to keep readers and sales we must crank out a book every year. He says that often it has the opposite effect and that readers will abandon an author if they fail to deliver in subsequent books. I would argue that if we move readers the first time around, they will gladly wait for that second book. As my agent reminds me, "Every deadline is negotiable." This book-a-year notion really shows for me when I read an early release by an author, then follow that author through his/her career. Often, the quality seems to decline when they turn out a book a year. Grisham is a perfect example for me. I love to hear that quality authors are taking time between releases to help insure that the quality remains high. It's disappointing to anxiously await an author's next release, only to find it wasn't worth the wait. I'll be following it up on Wed - with a twist. Unfortunately, I'm unable to comment on Wed - so you guys have to be super chatty to make up for me! Great art takes time. It's that simple. Writing is re-writing. Draft after draft. Inching the words along until the novel becomes seamless, matchless. I've just finished a novel that my agent is getting ready to sell. I plan on taking at least two years to work on my next novel - which I already have the idea/proposal/ and themes worked out. I have the next several novels planned, each with a varying degree of research needed. Patti!!! I'm SO excited you are reading COLD SASSY TREE. Did you know it is the story of her grandfather and her father (Will Tweedy is her dad)??? CST is one of my all time favorite novels. Olive Ann Burns died before she could finish the follow up novel, but they published the first part she had finished, her notes, and a memorial section dedicated to her and her life story. It's called LEAVING COLD SASSY. Chris: Love the gossip line. So true! And when I think about the novels I've read and loved, all of them have been recommended to me by someone I like. I hear the buzz and it gets my attention, but it takes someone close to me that I like to say, "Hey, have you read this one? I loved it." Ariel: Every deadline is negotiable. I like the way your agent thinks!!! Okay, based on Bonnie and Patti's recommendation, I will put Cold Sassy Tree back ON my TBR pile. I started it some months ago and couldn't get into it. I'll try again. And I hate to be negative, but I need to correct something here. I've talked at some length about Elizabeth Berg on this blog. She's a fabulous writer. I love her voice, love her characters. I can slip right into the main character almost from the first word. I've been willing to overlook some elements of her writing because of how much I like her stories and characters. I asked for and got The Last Time I Saw You for my birthday last week. It's about a fortieth high school reunion, and since this is the year of MY fortieth high school reunion, I really wanted to read it I'm nearly finished with it, and this is one I can't recommend. The language is far worse than anything I've read by Berg, along with too-sexually-explicit material, and for me it's over the top. So, this will probably be the last Elizabeth Berg novel I read for a while. Sharon, so glad I waited to hear a friends non-recommendation before buying Berg's last book. Phew! Sharon, just made an interesting point. Word of mouth works both ways. Nicole - You are right about series, but most readers are willing to wait for that good series. If it is a good read and worth the wait, people will wait. I know that I didn't bug Francine to write faster because her books are soooo worth it. Steven James series are also worth that 1 1/2 or more wait. Then it is up to the author to remind us of key details. That does help. Just don't go over board. 900 pages from Francine Rivers: I would've snatched up that puppy so fast. Love sagas. I grinned when I saw The Bishop. Now I only have a few pages left so I'm draggin' my feet--or my eyes? The wait's too long! I am a SLOW writer, labouring over each word. It's always amazed me to hear of writers who churn out 5000-10,000 words A DAY. At full steam my rate is more like 500-1000. I can't help but feel that speed-writers must surely major in quantity rather than quality. How can anyone pour out words that quickly unless there's little thought involved? It takes effort to select phrases that are fresh instead of careworn, or to craft a luminous description instead of resorting to cliche. My question is, do you published authors feel pressured to maintain that book-a-year quota? 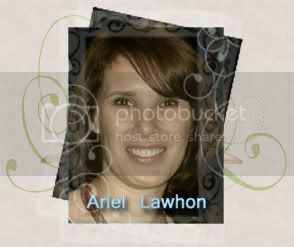 Ariel mentioned some excellent examples of authors who've taken their time getting out their next release. Thing is, the wild success of their first books has probably earned them that right. What about mid-list authors? How to strike a balance between taking the time the book deserves and not appearing to be a publishing diva? I really want to know. I'm not published yet, but I wrestle with questions like this. Karen - I know you asked the published authors, but from a readers perspective, there is a thing as waithing to long. We lose interest and there are other books coming out every day. Series are the worst for that. Even A list authors lose readers in series if they wait to long. Like 5 years in between books. I also want to say, we fiction readers are very forgiving of authors we like. Allison Strobel just released a book in about 3 years. I still was excited to see it. So your fans will read your books no matter how many years are between them. Nicole - are you reading the Bishop? If not, our store just got our copies in. Yes there advantages to being owned by a publishing house. :-) If you need one contact the store.